Things have gone from bad to worse and now just flat out disastrous for Canadian handset maker BlackBerry. The once thriving enterprise-minded firm on Friday confirmed rumors that were floating around earlier in the week – the reduction of 40 percent of its workforce, or about 4,500 employees. Along with the staff cutbacks, BlackBerry warned investors of a quarterly loss between $950 million and $995 million next week. We’re told the loss is mostly related to the write-off of unsold handsets and a $72 million restructuring fee. Two of the six phones in BlackBerry’s current lineup are also getting the axe. In the breakneck world of smartphones, you either have to innovate or get left in the dust. For BlackBerry, it was the latter. Just four years ago, the company was responsible for 51 percent of the North American smartphone market according to Gartner. Two powerhouses – Apple and Samsung – changed everything over the past four years, however, leaving BlackBerry as a shell of its former self. Vowing not to go down without a fight, BlackBerry launched a turnaround effort early this year that hinged on the success of the company’s latest mobile operating system known as BlackBerry 10. A handful of modern smartphones accompanied BlackBerry onto the battlefield but it was too late. The war was already over before BlackBerry even realized it had started... much like Palm before it. 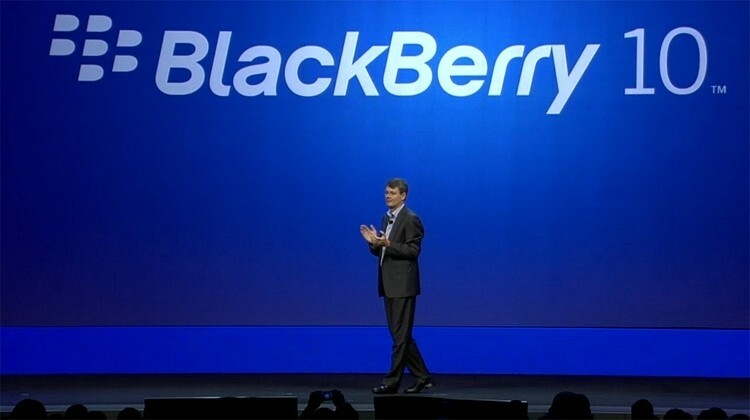 Moving forward, BlackBerry said they plan to refocus on the enterprise and prosumer markets. Share value in BlackBerry tanked on the news, dropping more than 17 percent.